The City of Maysville is a local government unit consisting of all city departments including: the Maysville Fire Department, Maysville Police Department, Public Works Department and Administrative Offices. Application for positions within these departments is through the Human Resources Director office for the City of Maysville. Participation in the County Employees Retirement System (C.E.R.S.) administered under Kentucky Retirement Systems. Eligibility to participate in the Kentucky Public Employees Deferred Compensation Program. 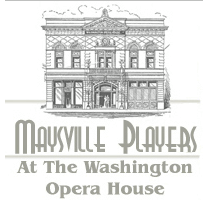 Please visit the Job Openings page for current open positions with the City of Maysville. Any person interested in applying for employment with the City of Maysville is encouraged to complete an Application for Employment. Applications are also available at the Municipal Building at 216 Bridge St. The City of Maysville is an Equal Opportunity Employer and does not discriminate on the basis of race, gender, color, religion, national origin, age, disability, genetic information, or military or veteran status.